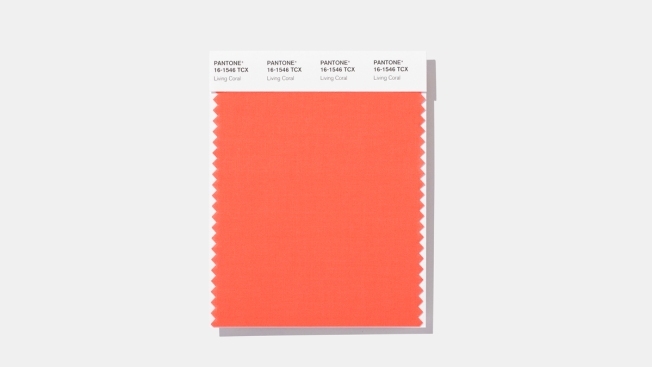 This image released by Pantone Color Institute shows a swatch featuring Living Coral, which Pantone Color Institute has chosen as its 2019 color of the year. It's the color of underwater reefs hanging on for dear life. The sky at dusk. Some of the latest iPhones and the latest looks on the runways of Marc Jacobs and other top fashion designers. Living Coral has been chosen by the Pantone Color Institute as its 2019 color of the year.